It's the best month of all, y'all!! October is my very favorite, and I can't get enough of it. I'm worried it's going to come and go too fast. So I'm hopeful to slow time down this month and be more intentional with what we do as a family. I'm hoping these goals will let us do just that! Ha, that's a joke! I always think things will take less time than they actually do. Hallelujah, we are all moved in! Now to unpack everything! I've done this, but I keep changing my mind. It's hard to decorate a space you haven't put your year-long touches on. It's not stopping me though! Done! And although it was hot, we had such a good time. Unfortunately, this didn't happen. I know, I'm shocked too! But I have some good fall recipes to try out for this month! We did, and we'll be enjoying a nice dinner out this weekend! We worked on our home to get it ready for move-in and then split sparkling cider that evening. Time flies! I made it in my head, but not solidified on my calender. She's growing like a weed! I missed her 8 month update, but plan to get her 9 month one out next week. 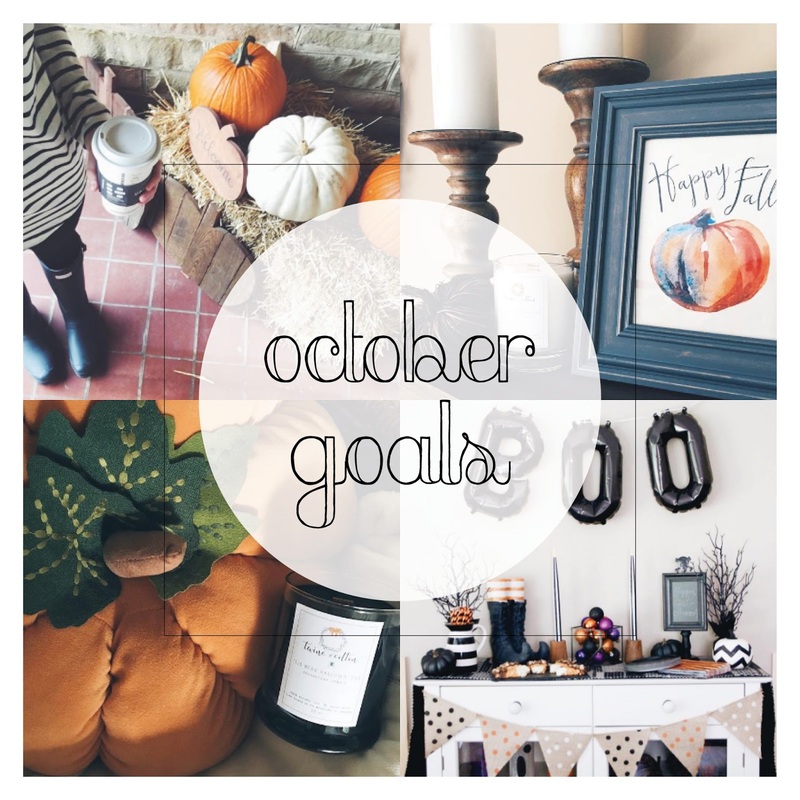 What are your October goals looking like? I'm hoping to check each of these off!